It is that time of the year when a number of communities in India gear up to celebrate with music, dancing and of course, fabulous food. 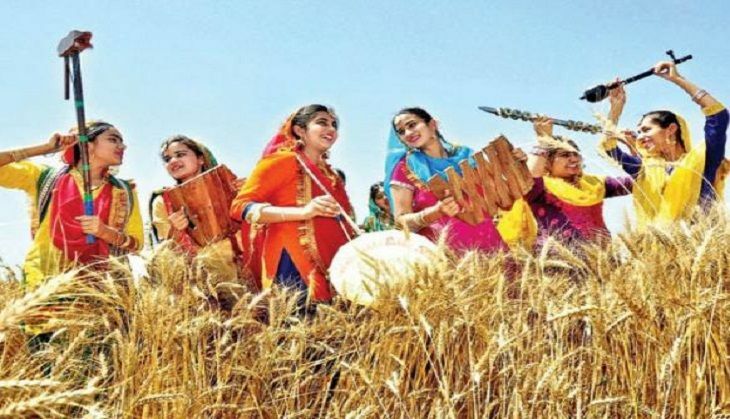 Baisakhi is here! Not only does Baisakhi mark the harvest festival in Punjab but also commemorates the Sikh New Year. It was on the eve of Baisakhi in 1699 that Guru Gobind Singh laid the foundation of the Khalsa Panth. Did you know that Baisakhi also marks the day that Gautam Buddha attained enlightenment under the Mahabodhi tree in the town of Gaya? This is also the day that Swami Dayanand Saraswati founded the Arya Samaj. To celebrate the harvest festival, men and women dressed in their colorful best dance their heart out to the foot-thumping, fast-paced beat of the Dhol. Here is a list of top five Baisakhi songs your playlist needs. Have fun!